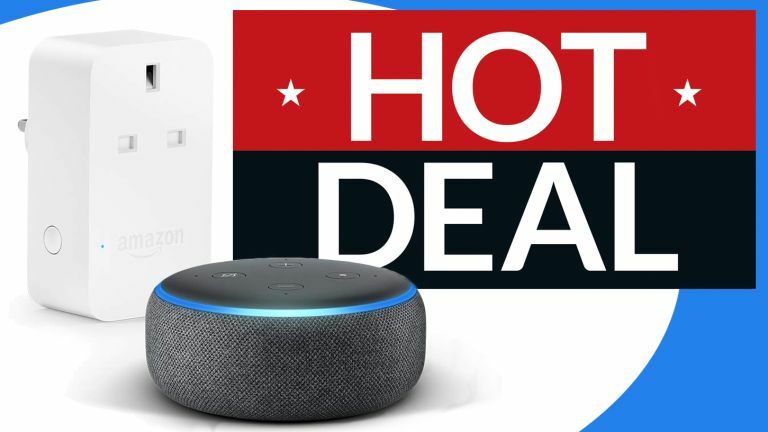 Amazon has slashed more than half off its third-generation Echo Dot and Amazon Smart Plug bundle. This smart home kit would typically cost £74.98 – but that has been dropped to £34.98 ahead of the Christmas shopping spree. For those who can't do the maths, that's a saving of £40. Given that both of these products were only launched last month, that's a serious saving for such new devices. The Echo Dot is the smallest speaker in Amazon's ever-expanding arsenal of AI-powered devices. Despite its diminutive stature, it does include an in-built speaker that's plenty loud enough to hear the answers to any questions you've asked Alexa. However, those looking to use the Echo Dot to listen to music will likely want to pair the smart assistant with a more powerful sound system either with a 3.5mm aux cable, or via Bluetooth. Music is handled by Amazon Music, Spotify, Audible, Deezer or TuneIn. Needless to say, Apple Music subscribers need not apply. The third-generation Echo Dot boasts an all-new fabric design and improved call quality compared to previous models. The Echo Dot has all the same smarts of its larger siblings, Echo and Echo Plus, meaning it can do everything from playing tunes, keeping you abreast of the latest weather and news, ordering take-away, and controlling other smart devices around the home. As such, the Echo Dot is a phenomenal gateway into the world of smart home technology, since Amazon's proprietary voice assistant Alexa is compatible with a whole host of smart lightbulbs, kettles, and central heating systems. Speaking of, the Amazon Smart Plug is designed to bring the ability to control older, non-smart (dumb?) products with voice commands to Alexa. Plug the Smart Plug into a spare outlet and then plug whichever mains-powered device you'd like to control into the Smart Plug to be able to switch devices on and off remotely, schedule lights, and control devices when you're outside the house. The Echo Dot + Amazon Smart Plug appears to be impossibly popular as shipping dates for the bundle have already started to slip into January 2019. So those hoping to get the bundle as a Christmas present will need to look elsewhere. If you're not to fussed about when it drops through your letter box, but are keen to slash 53% off your order, it's worth adding the bundle to your basket now. "Alexa, show me a killer bargain in the Amazon Black Friday sales ... "